*I knew it was only a matter of time for SOME ILLNESS to come about as a result of heavy pot smoking — exacerbated by the fact that its now legal in several states. 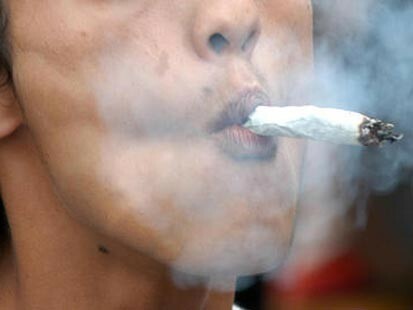 Of course it doesn’t take a rocket scientist to know that heavy pot users have been shown to have memory issues (and some have even become downright delusional, but that’s another story). Honestly, I don’t know if I stand 100 with the new ruling in California, whose pass came about last November. Blame it on the fact that I see way too much marijuana smoke being blown out of passing car windows; or even the fact that the guy who backed up off the freeway ramp, into my brand new car, reeked of it. Medical marijuana is legitimate. It continues to be of great significance in alleviating debilitating pain; and even offers undeniable results where some children’s illnesses are concerned. But just allowing any damn body to smoke weed. Out loud. Not so much.